Above code converts infix notation in variable infix into postfix notation and stores in postfix list. This algorithm makes use of list temp to hold operators and left parantheses in the infix notation. 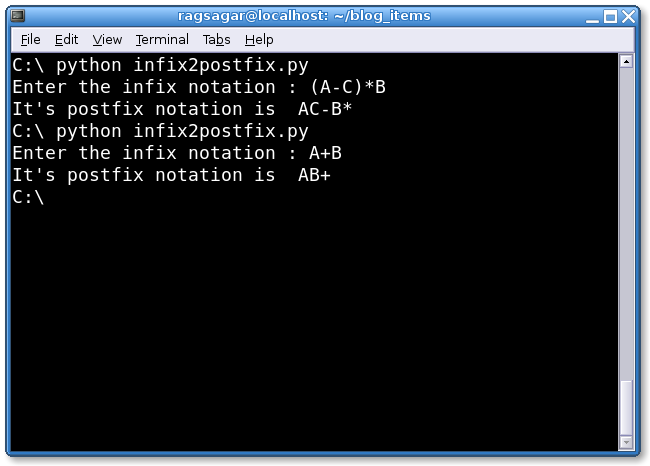 The postfix list will be constructed from left to right using operands from infix and operators which are removed from temp.